Ball of Foot Metatarsal Cushions, Forefoot Cushion are efficient Pads to relieve Foot Pain, Metatarsalgia & Other Unsightly Foot Problems! 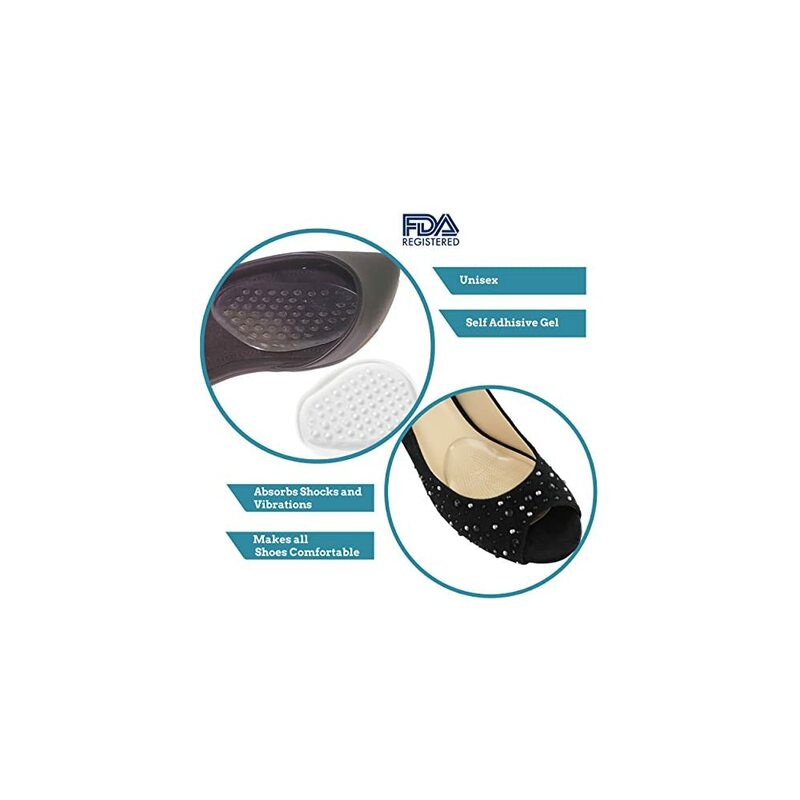 This Foot Cushion Kit includes two different pairs of forefoot pads. 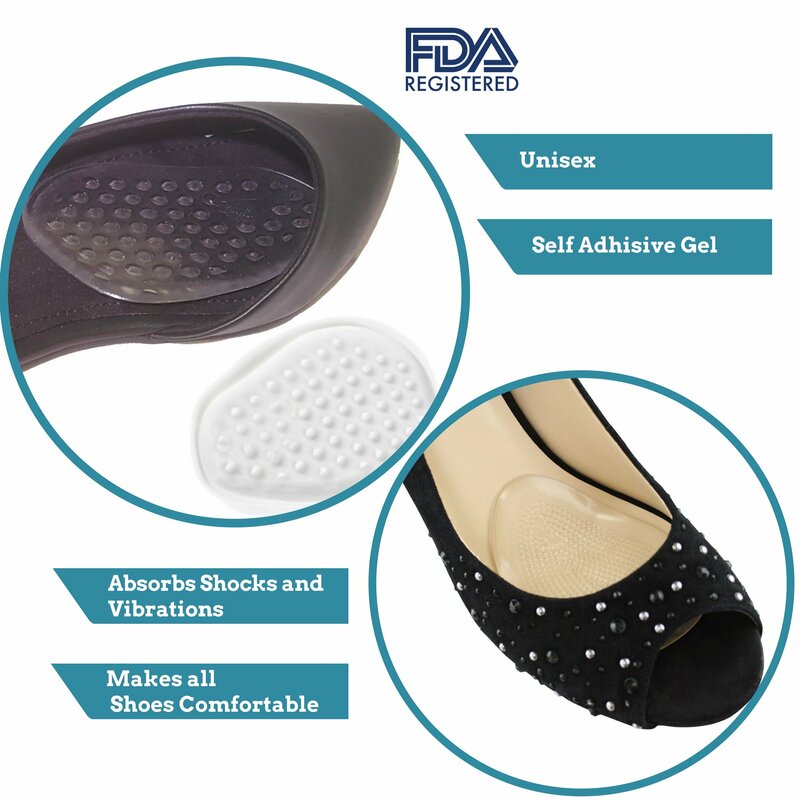 If you’re tired of suffering from sore, burning, or blistered feet, or if you’ve got metatarsal injuries or flattened arches, give these incredibly soft, gel-filled pads a shot. You’ll be glad you did. 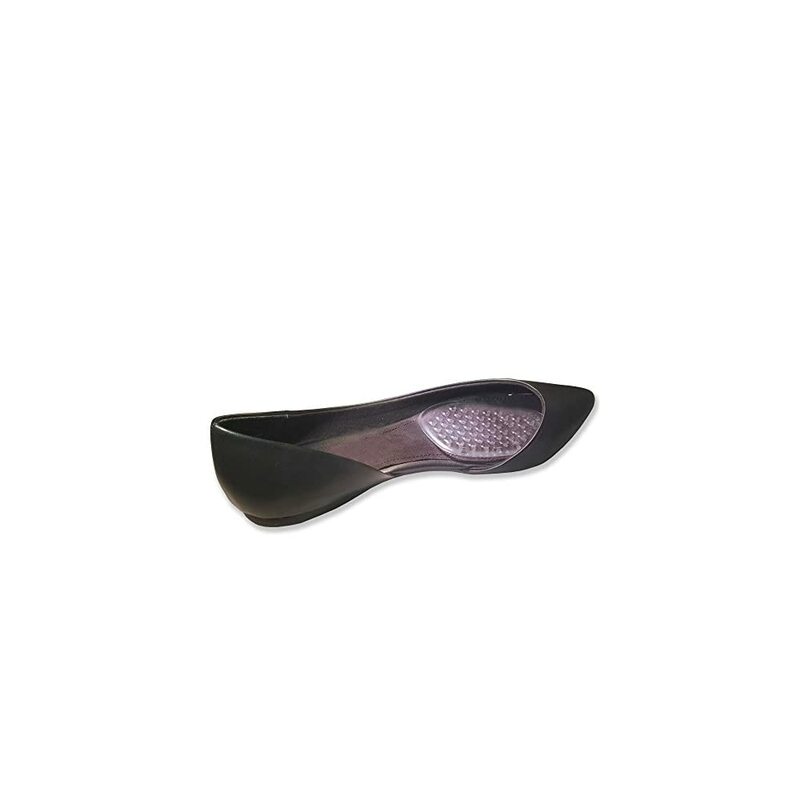 Keep your feet comfortable, blister-free, and ready to go all day long. 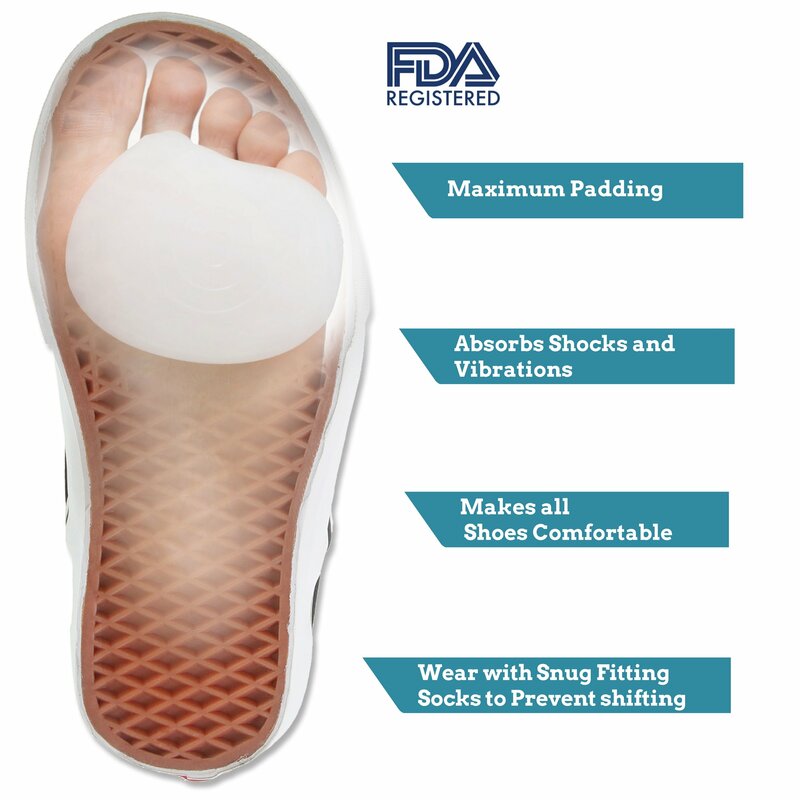 This Gel Ball of Foot Cushion attaches to your foot and you can wear it in different shoes. We recommend to wear it in snug fitting socks to prevent sliding. It redistributes pressure to relieve metatarsal pain. 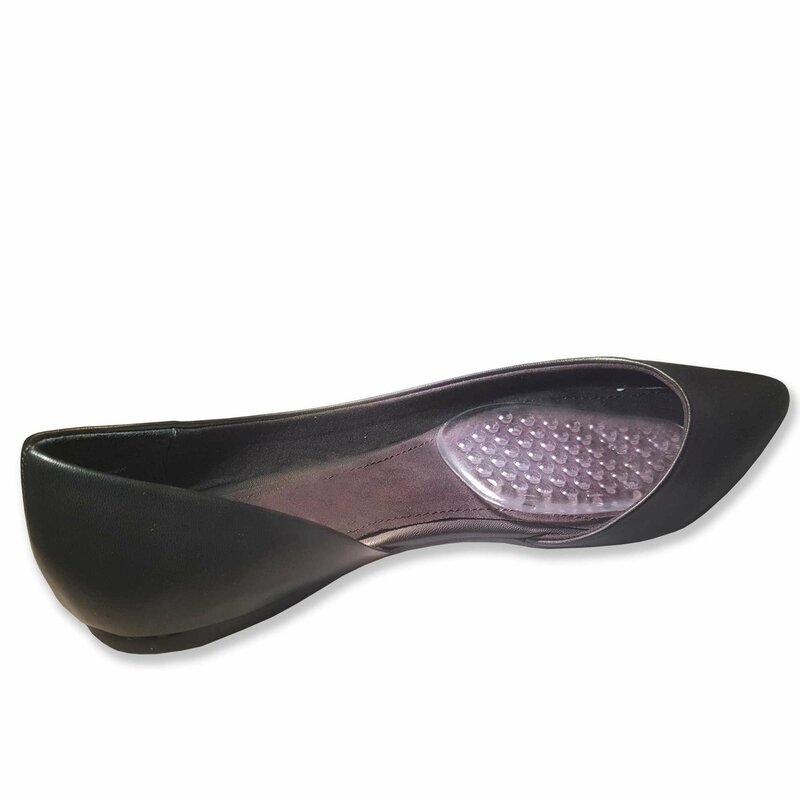 The cushion is also ideal for alleviating discomfort caused by calluses and it is diabetic foot friendly. Anatomically designed for comfort, support and durability. Reduces the burning sensation in the metatarsal heads. You can wear in socks and shoes. 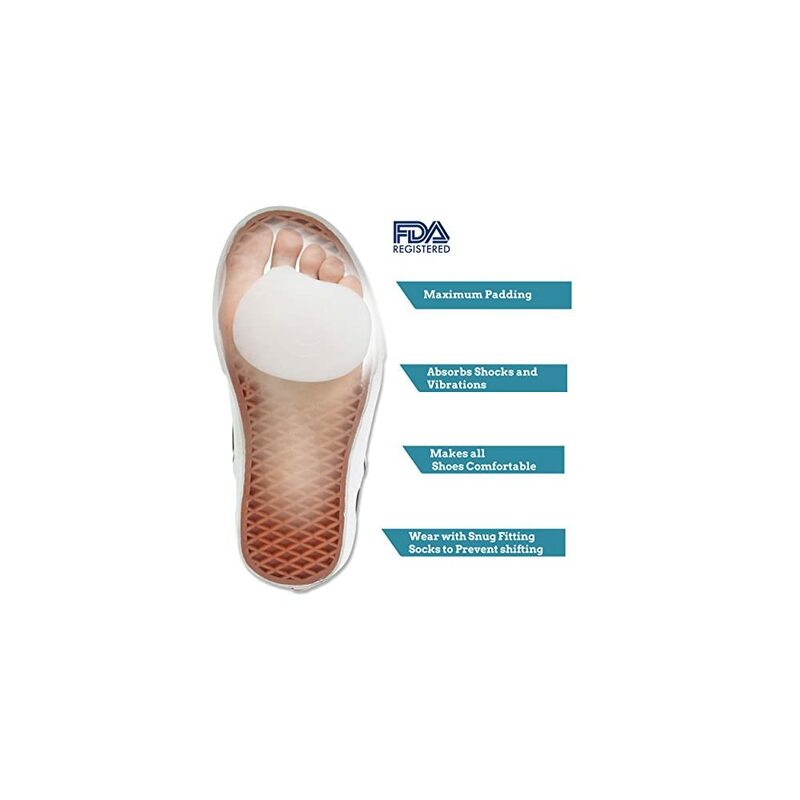 2- One Pair of clear sticky gel ball of foot cushions PedPal The T-shaped pads are designed to support the forefoot area, helping relieve the discomfort of flattened metatarsal arches. They are made of soft and washable gels. Self-adhesive backing underneath helps keep the supports in place. Clean your shoes or flip flop before placing the gel pads.